The Ohio House of Representatives overwhelmingly passed proposed legislation that would increase the state’s so-called gas tax from the current 28 cents-per-gallon to 38.7 cents-per-gallon. 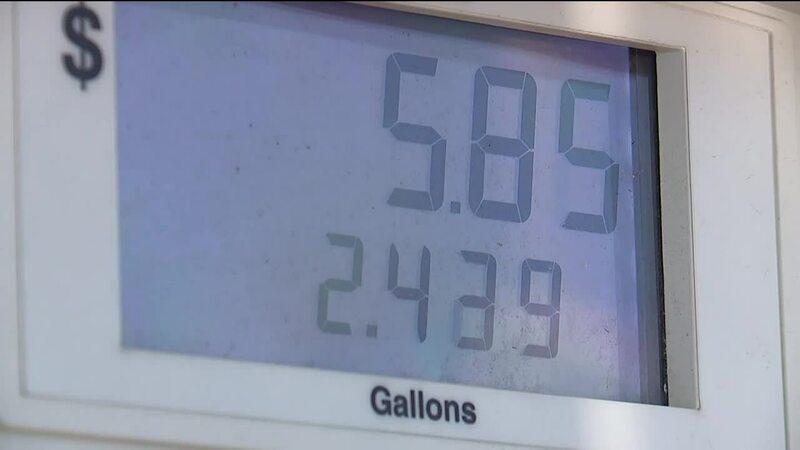 CLEVELAND — The Ohio House of Representatives overwhelmingly passed proposed legislation that would increase the state’s so-called gas tax from the current 28 cents-per-gallon to 38.7 cents-per-gallon. Designed to increase funding for new road projects in addition to highway maintenance, the gas tax hike passed by state representatives is substantially less than the 28 cent increase that Governor Mike DeWine proposed in February. Even still, for professional drivers across Northeast Ohio any gas tax hike will further eat away at their already razor-thin margins. Fearing a “dangerous state of disrepair” for the state’s highways and bridges, the director of the Ohio Department of Transportation testified last month in front of a house committee in favor of the gas tax hike. Gov. Mike DeWine has also stated support for the measure. If approved, the gas tax increase would still generate hundreds of millions of dollars for road-related projects — even if the proposed 10.7 cent increase is 40 percent less than what Gov. DeWine proposed. The gas tax hike would also be introduced in phases with an increase of seven cents beginning Oct. 1 and an additional 3.7 cents being added on Oct. 1, 2020. The tax rate on diesel fuel would also be increased by a total of 20 cents-per-gallon under the current proposal. Ohio’s motor vehicle fuel tax has not been increased since 2005 and currently ranks in the middle of the pack nationwide. It is also the lowest of all Great Lakes states. The money it generates has slowly been eaten away by inflation as well. Under the current proposal, the tax rate would be tied to the consumer price index. Additionally, the proposal calls for $100 million in federal funding to be allocated for the state’s public transit systems. For professional Uber and Lyft driver John Booth, any increase to what he pays at the pump will be significant. Proponents of the gas tax increase believe drivers like Booth, who use state and local roads more than an average driver, should have to pay more in taxes. Booth believes state lawmakers could raise additional revenue through increasing permitting and registration fees. Under the current proposal, drivers of electric and hybrid vehicles will pay $200 in registration fees in order to offset the lack of gasoline consumption. With less money to go around, as many as 20 major road projects across the state could be put on hold, state officials said. By halting these projects and having less money to spend on maintenance, ODOT Director Jack Marchbanks told the Ohio House Finance Committee that driver safety could be put in peril. For Booth, a potential increase to the state’s gas tax rate compounds recent changes to Uber’s pricing model. Booth said the ride share company recently implemented changes that have decreased how much he makes on a per-ride basis. The rate has been cut four times in the past four years, he said. ODOT has also created an interactive map that shows the projects and maintenance that could be impacted if the gas tax isn’t raised. View it below or click here.